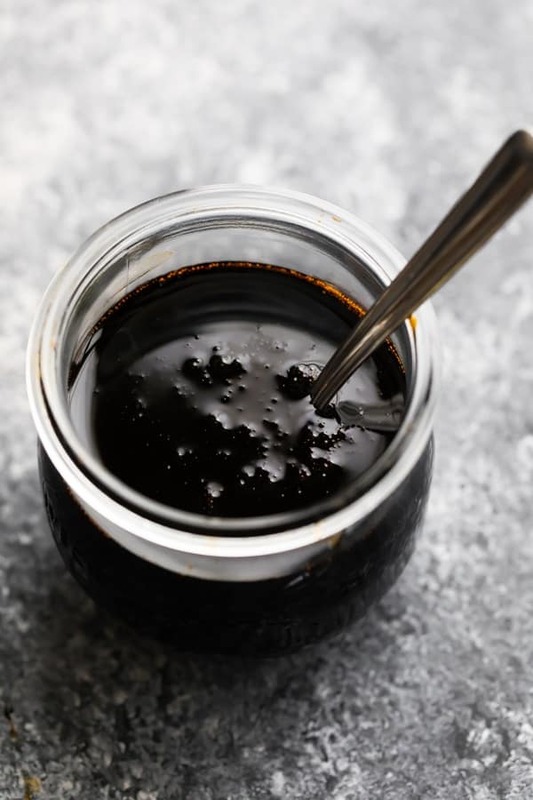 This easy balsamic reduction (or balsamic glaze) has just two ingredients and tastes so much better than store bought! 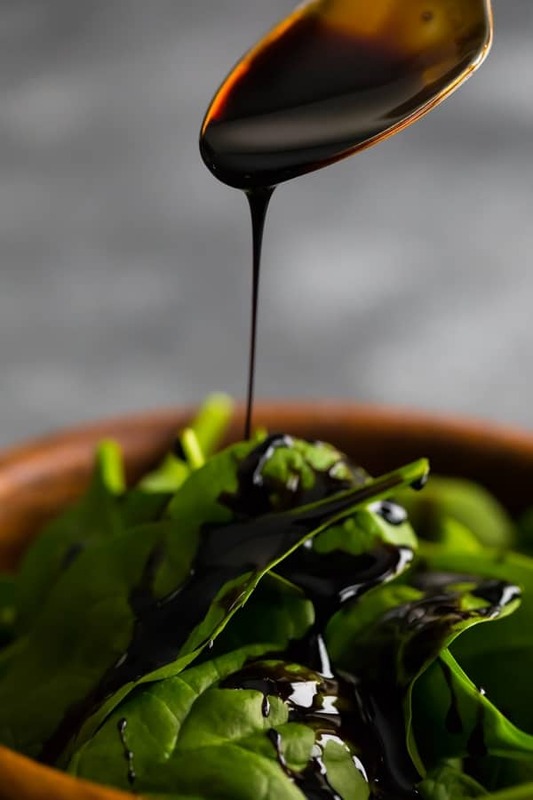 This summer, we were totally obsessed with balsamic reduction, and added it to just about everything: salads, roasted vegetables, grilled chicken and salmon…you name it! While we almost always have some store-bought balsamic reduction in the pantry, I also make my own on occasion…the homemade balsamic reduction is SO easy and requires only 2 ingredients…and it tastes so much better than the store-bought stuff! 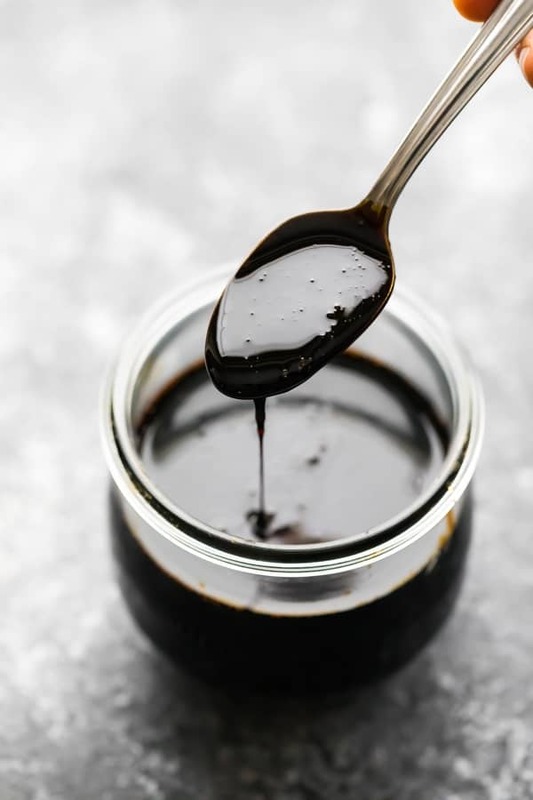 This balsamic reduction (or balsamic glaze, what do you prefer to call it?) is quite possibly the simplest and most ridiculously simple recipe on my site! How long does this balsamic vinegar reduction last for? 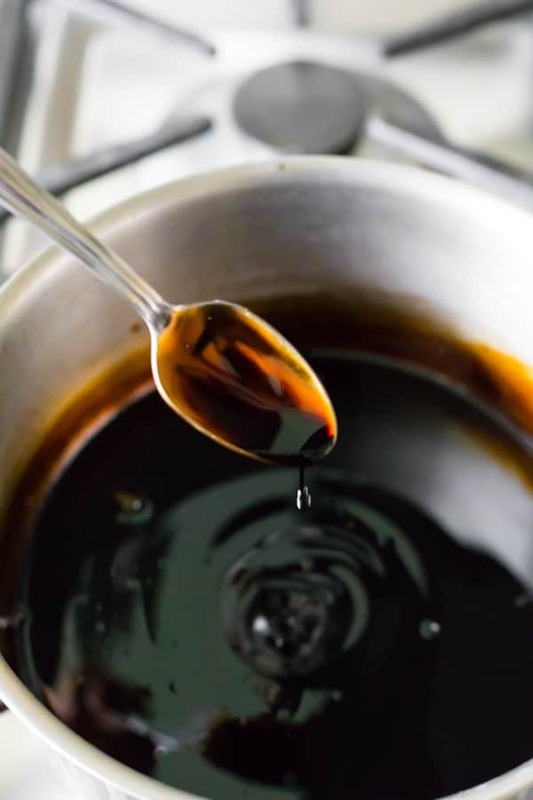 Since the base of this recipe is highly acidic vinegar, this balsamic vinegar reduction will keep for a long time! We’ve kept ours in the fridge for a month with no issues. Can I make this balsamic reduction with honey? Brown sugar? Yes and yes! Simply swap the maple syrup for an equal amount of either sweetener. What if I like a sweet balsamic reduction? This balsamic reduction recipe is slightly sweet, but definitely not as sweet as store-bought. 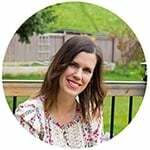 You can increase the maple syrup to 1 cup or even 1 1/2 cup if you want it to be sweeter! 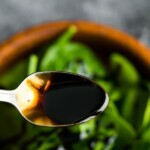 How to use this balsamic vinegar reduction? This balsamic vinegar reduction goes well on so. many. things. I used a basic grocery store brand of balsamic vinegar for this reduction. I would personally keep the expensive aged balsamic vinegars to use as is rather than using it up in a balsamic glaze! Looking for more sauces and dressings? Try this Creamy Cilantro Lime Dressing, this Balsamic Vinaigrette, or this Homemade Red Wine Vinaigrette. 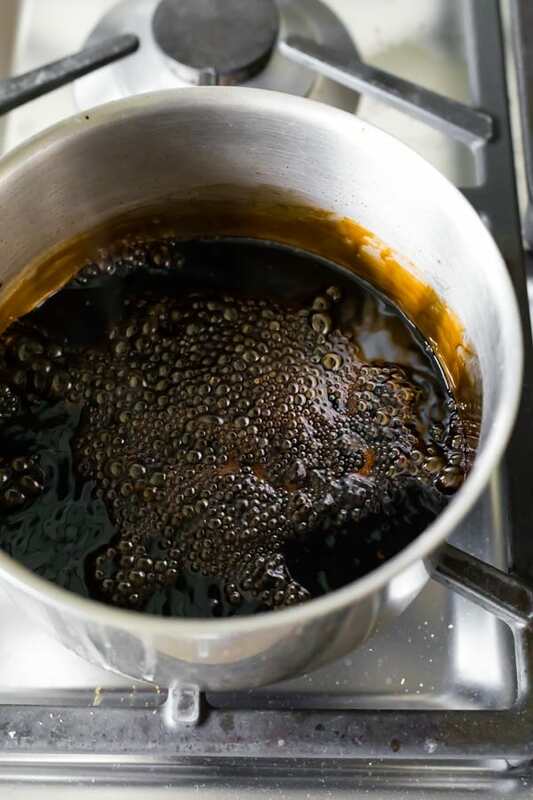 Combine the balsamic vinegar and maple syrup in a medium saucepan. Bring to a boil, reduce heat, and simmer for 20-25 minutes, until it becomes thickened and coats the back of a spoon. Cool, then transfer to a jar and store in the fridge for up to 1 month. Makes roughly 1 cup of balsamic reduction.